Do You Suffer From Dry Eye Syndrome? When the eyes do not make enough tears, or tears begin to evaporate too quickly, dry eye syndrome occurs. This is usually a result of the oil glands becoming blocked or functioning abnormally. 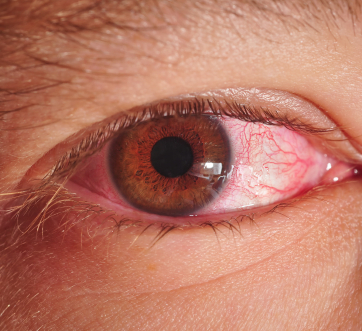 When this happens, your eyes can become dry, swollen, inflamed, and irritated. This is a condition that can soon become problematic, and it can prevent you from enjoying every day life as you should. If you feel that you are displaying the symptoms of dry eye syndrome, you should seek advice from an eye doctor. * Consistent feelings of dryness or grittiness that progressively worsen throughout the day. * Eyelids that stick together when you wake up. * Photophobia (sensitivity to light). * Extremely painful or irritated eyes. * Blurred or deteriorating vision. If you are experiencing any of the above symptoms, they should not be ignored. 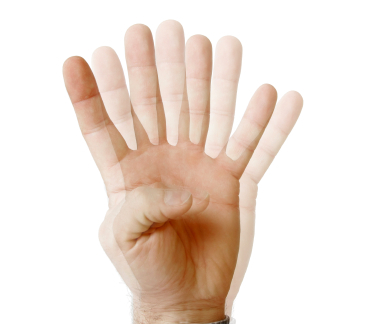 Catching dry eye syndrome as the milder symptoms start to show will prevent you from developing severe ones. If you are displaying severe symptoms, this could be a sign that you have sustained damage to your cornea, which could permanently affect your vision. The causes of dry eye syndrome can vary. While some people may develop it due to living in a very hot or windy climate, others may experience it as a result of aging. In addition to this, medications like antihistamines, antidepressants, beta-blockers, and diuretics can also cause dry eye syndrome. Certain medical conditions can cause dry eye syndrome; these include dermatitis, allergic conjunctivitis, Sjogren’s syndrome, rheumatoid arthritis, lupus, shingles, Bell’s palsy, and HIV. When dry eye syndrome does occur, it can come as a result of one or all parts of the eye’s tear production centers not functioning. This can include your lacrimal gland, your goblet cells, your eyelid, cornea, conjunctiva, and tear ducts. If one part of your lacrimal functioning unit does not function as it should, the others may fail to do so too. The treatment you will undergo for dry eye syndrome will depend on the severity of the problem. The most common way to treat this condition is through the use of lubricants, which can come in the form of eye drops, ointments, and gels. Although many of these are available without a prescription, the most effective ones can only be prescribed by an eye doctor. If your eye doctor believes that your condition may be due to inflammation, you will be prescribed an anti-inflammatory medication. These can come in the form of steroid eye drop treatments, oral tetracyclines, or ciclosporing eye drops. Sometimes it is the case that dry eye syndrome arises as a result of a complex underlying medical case. If this is the case, your eye doctor will assess and address the underlying cause of the disease. In extreme cases, surgery is needed to correct the parts of the eye that are not functioning as they should. Regardless of the cause or severity of your condition, the sooner you seek treatment the better. Dry eye syndrome that is left untreated can rapidly worsen, and will become problematic. If you suspect you have the condition, contact an eye doctor as soon as possible. Special thanks to Brighton Optical in Buffalo, NY for contributing this article. Please visit the Brighton Optical website at www.brightonoptical.com and the Brighton Optical blog at www.blog.brightonoptical.com. The start of each New Year brings a time for evaluation and change. Assessing vision and eye care are important steps in maximizing and maintaining eye health for you and your entire family. When was my and my family members’ last eye exam? Are my and/or my family’s eye glasses prescription(s) up to date? Are my and/or my family’s contact lenses prescription(s) up to date? Is my and my family members’ vision clear both at a distance and close up? Do I strain or do I notice my family member’s straining to see either at a distance or when reading? Am I happy with the eye care and the eye wear my family and I have been receiving in the past? It’s important to find an eye care specialist with the proper training to meet your and your family’s unique requirements. 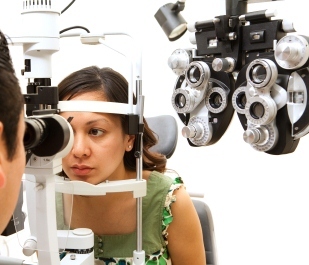 Be sure when selecting an eye doctor you investigate their education, training, licensure and other credentials to confirm he or she offers the services that match your needs. You can confirm credentials by contacting your state’s board of optometry. Experience is a critical characteristic in the selection of an eye doctor, especially if you or a family member has complicated eye conditions. Experience enhances an eye doctor’s abilities and skills so they can catch eye problems early as well as detect other potential health problems through eye examinations. The recommendation of a friend, family member or co-worker can be a great resource to point you in the right direction for selecting an eye doctor. The Better Business Bureau can also be a great tool. When it comes to your eye care and eye wear needs, you are a customer. You have choices of where to go and who to give your business to. You should be treated with respect and provided friendly and professional service. You should also be offered products that are made with quality and serve your eye care needs precisely. Finding an eye doctor that you and your family can build a long term relationship with is also a vital element that should not be overlooked. You should be relaxed with your eye doctor and communicate with him or her so your eye doctor can understand you, your family, your lifestyle, your careers and how best to provide the eye care that will be critical to the eye health of you and your family members at every stage of life. To learn about a company and a team of eye care professionals that have been operating based on the above for more than 30 years, please visit www.shawneeoptical.com.